Running your own business can be overwhelming, time consuming, and feel like you never get a chance to get out of the “business” side of things. Well, here’s your chance to break out for a bit. These classes were specifically designed not only to be fun and creative, but to also recharge your wellbeing. Care and thought was given to how these classes can actually help relax and calm your overactive brain, and get yourself into a creative flow. This workshop day has two different classes. You can choose to do one, or both. If choosing to spend the day with us for both classes, there will be a 1hr break for lunch. There are plenty of restaurants and coffee shops within 3 blocks or less of Anahata Collaborative to enjoy. Learn the art of vegan royal icing with Cori Robinson, owner of The Cookie Creative. In our Plant-based Cookie Art Class, we'll share expert tips for creating beautifully decorated cookies using only plant-based ingredients and natural food dyes. Introduction to Mindful Weaving with Katie Oberton of West Ash Designs. In this intro to weaving class you will learn the basics of how to make a woven wall hanging. During this class you will be guided through how to warp your loom, and basic techniques such as tabby, soumak, and rya knots. We will be making mini woven wall hangings approximately 6 inches wide. 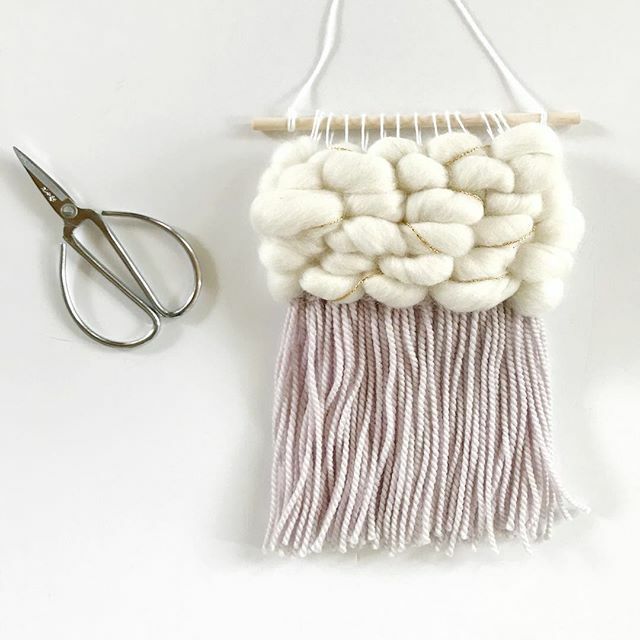 We will use chunky roving and yarn to give your wall hanging some great texture! Looms and tools will be available for use during the class, with the option to purchase them when the class is over. Yarn, roving, and dowels are provided as part of the class cost.